Whether as a starting point for visiting the cultural city of Salzburg, for hiking in a unique mountain scenery, swim at Lake Fuschl or skiing to 40 km best prepared slopes in the ski resort Gaissau Hintersee, our charming hillside house facing south above the village of Hof bei Salzburg offers a wide variety of recreational opportunities in every season. The 60 square meter terrace in the summer or the food at the large fireplace in winter also invite larger groups or families traveling to cozy gathering. The large enchanted garden with small pond also offers children a variety of opportunities for discovery. We had a really enjoyable stay at Haus Smilla over Christmas as a group of nine. The house is well situated in a quiet area and with lovely views over the village and the nearby hills - particularly with the snow! Supermarkets in the village are easily reached by foot, and there are beautiful walking trails and possibilities for skiing and sledging. The drive into Salzburg takes about 30 minutes and the roads are excellent. The house has lots of character and rustic charm, plenty of space for our party, and very cosy when the downstairs fire and stove and upstairs stove are lit. The kitchen was well equipped and the washer/dryer useful for a large group of people. Gerhard was a very friendly and helpful host and he and his caretaker responded promptly to any questions we had. Our family of 10 were very comfortable in this home very near Salzburg. There was plenty of room for four active grandchildren to keep busy indoors and outside with a nearby soccer pitch. We had great meals together in a nice family room while we watched the World Cup. This was one of our stops on a multi city tour of Europe where we could relax in a great country setting in the shadow of the Alps. One added perk was a washer dryer that gave us the opportunity to catch up on our laundry. Great home in a beautiful part of Austria. 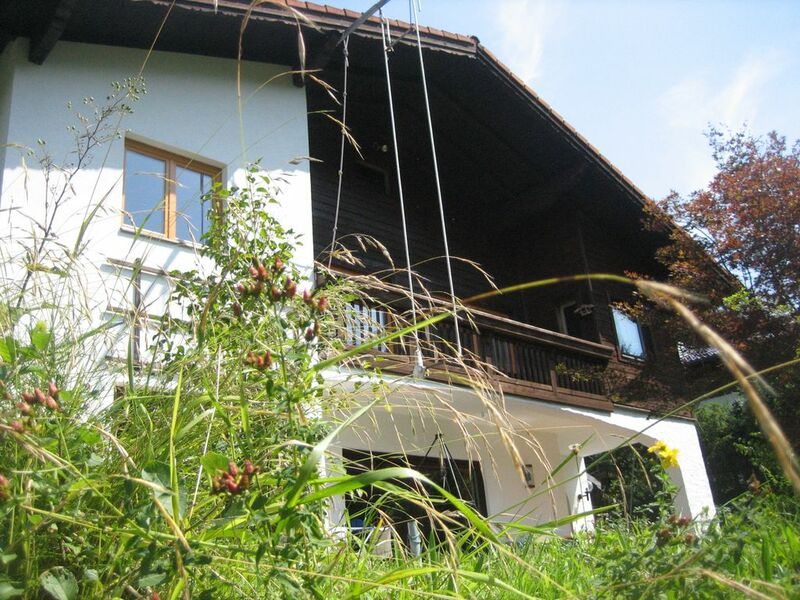 Great home in a lovely area about 15-20 minutes from Salzburg. The home is large and accomadates many people. We stayed with our five children and there was plenty of space. Check in requires meeting the hostess which was a little difficult since we didn't know what time we would be arriving but she was accomadating and seemed flexible. Great home for larger groups. Close enough to Sazburg without the traffic and crowds. Would have been nice to have a larger more comfy sofa seating arrangement for evenings around the fire. Although pricey for just three people (I recommend it for a larger group), it was a lovely home! It was so peaceful and quiet and gave us a wonderful taste of life in the Austrian Alps! Large place with room for a big group. Not in Salzburg so a car was handy. Shopping close by. Loved the natural environment. Communication could be better with arrival. We had to buy a few essential items.